A former teacher at Winstanley College, Tom Sherrington, recently digitized a 1988-1990 school project (originally on cassette) featuring a track by Rain Garden, a pre-Verve band which included Richard Ashcroft, aged 17, and Nick McCabe (listen below). Sherrington attended Richard Ashcroft's performance at the Latitude Festival last Saturday (July 20) and recently wrote an article on his website titled Talent. Conviction. Verve., where he made the reveal. The article has been recreated below for archival purposes. To see the original and/or comment on it, please click here. All credit goes to Tom Sherrington, and on behalf of the Verve's online community, thank you for bringing this gem to light. 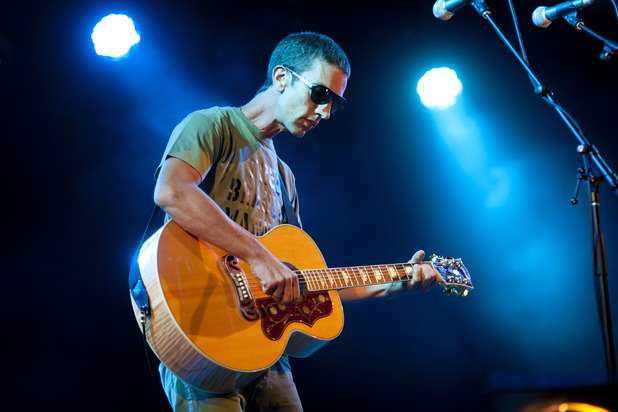 'I’ve just returned from the Latitude Festival where a personal highlight was seeing Richard Ashcroft playing a solo set. Just one man and a guitar making a massive sound, captivating the audience with an intense, brilliant performance. As my students well know, Richard Ashcroft was one of the students at Winstanley College in Wigan when I taught there in the late 80s. I have followed his career closely ever since and get a great thrill out seeing him live or listening to new material. All members of The Verve attended Winstanley which was packed with budding musicians. Nick McCabe was the stand-out guitarist and Richard had the attitude and conviction. The early material wasn’t as accessible as the massive ‘Urban Hymns’ but is certainly worth listening to. For me, ‘Slide Away’ is a wonderful song. I also spent time collecting recordings of students’ original music, and making a few recordings of them myself in the college studio. 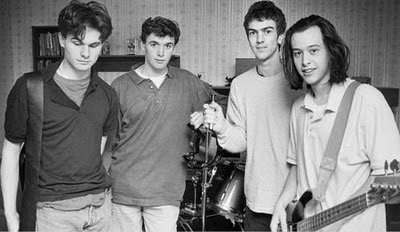 One of the songs I recorded was ‘Documentary’ by Richard’s band ‘Rain Garden’ a forerunner to the Verve that also included Nick McCabe. Today, I converted the cassette tape recording into an mp3, so here it is, via my soundcloud site. It is really well worth a listen. “That was quite excellent lads”. Interestingly, there was another student there called Phil Latham. He was in Rain Garden but also did some solo material. I thought he was gifted. If you’d asked me then, who would be the most successful, I’d have said Phil. But he was going to university and I’ve not heard of him since…. Meanwhile, Richard Ashcroft only had one thing in mind. He was going to be a big Rock Star making real music, right from the start. In truth, aged 17, he was like lots of boys in bands with a swagger of self-belief. But he saw it through, along with Nick, Simon and Pete. I bumped into them in the street in around 1992 and they told me they’d been signed to Virgin. I don’t think I really believed it meant much….I was worried that it would be another story of dashed hopes. However, five years later, they were everywhere and it all seemed destined. Evidently it hasn’t always been an easy path but Richard is still going and sounding fantastic. Having played it today for the first time in about 20 years, I’m delighted that my own offering – under the guise T and J – sung with a student called Jane Parker, is better than I remember. Jane – where are you now?